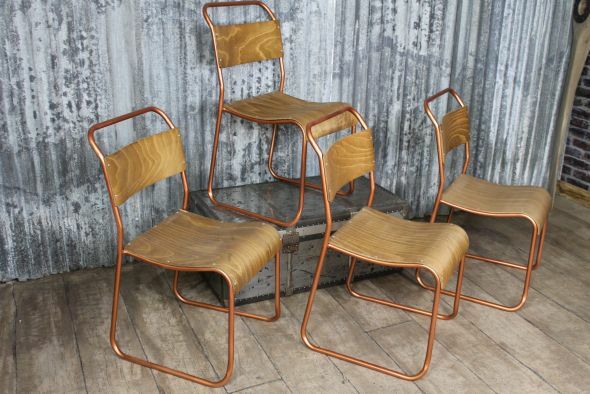 Our ‘Chelsea’ chairs belong to our extensive collection of stacking chairs - with our latest addition displaying a refined, alluring, copper coated frame. 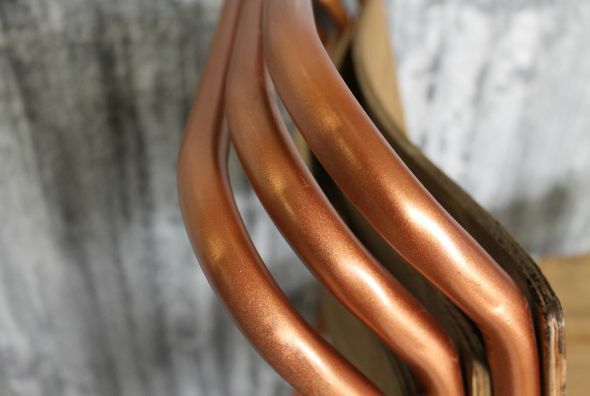 This combination of materials combines an elegant balance between industrial style and luxurious beauty. Available in an array of seat and frame colour combinations, these unique chairs boast quality aged plywood seats. They have a distressed, painted tubular frame, which offers an authentic vintage appearance. 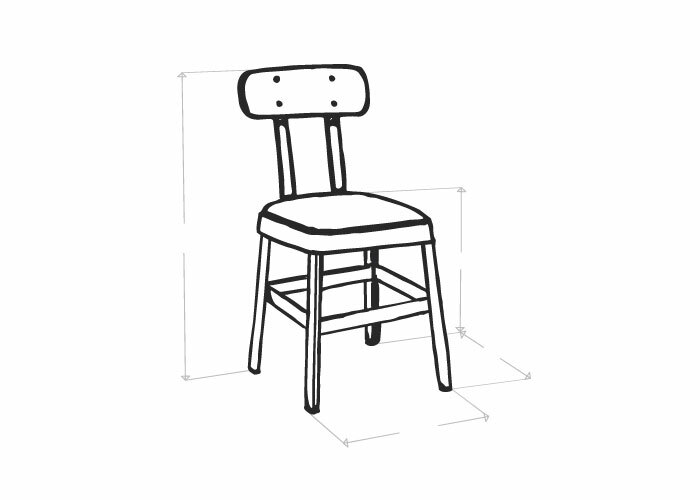 Appropriate for a multitude uses, this particular style of chair has proven popular within the catering and hospitality industries – it is ideal for bars and restaurants. 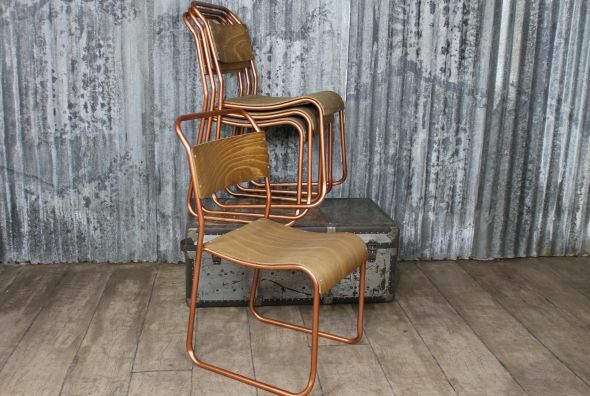 The ‘Chelsea’ chair in copper adds luxury and sophistication to an interior whilst retaining vintage charm. We can also supply these chairs with black seats and backs.